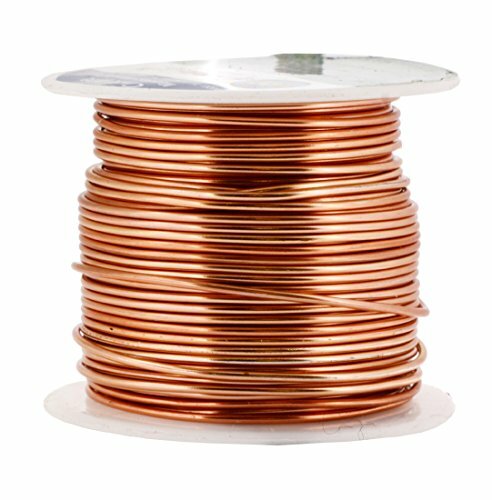 What is the Best Kind of Aluminum Wire For Crafts? 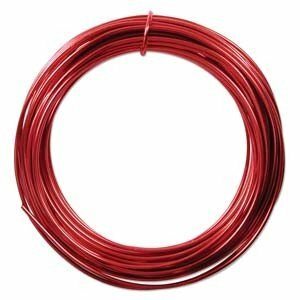 What Are the Best Types of Aluminum Wire For Crafts? Hi guys, even though I used to make jewelry from wire, I want to talk about aluminum wire for crafts that include sculpture, projects, wall hangings, and many other things. If your interest is in hands-on projects other than jewelry, it’s important to be able to easily spot which kind of craft wire you need for the DIY project at hand, and some things that can affect the outcome of the project, including the wire thickness. 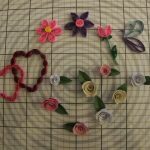 So if you’re looking to make things like bird feeders, wall art, or even standalone sculptures…you’re probably asking yourself what kind is best, the how’s and why’s…let’s look at that now. How thick or thin does your wire need to be? Remember: the bigger the number, the skinnier the wire. For example a gauge of 18 is thinner than a gauge of 12. The left image is one of a jewelry set in which I probably used 20 or 22, which would be a great size for fine detail. You can weave several strands of related colors together for a cool effect too! I also use 12 a great deal for projects, such as these cute little mini-vases I made for my bamboo plants (right image). Another brand I came across was of good quality, but not as flexible as I’d like. The brand was Artistic Wire . I believe it was made from stainless steel. That’s the brand I’ve got in my hand on the right without the label. 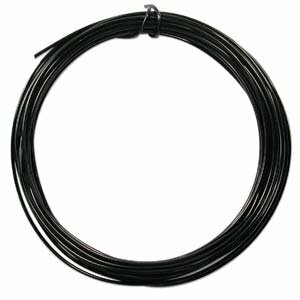 Over the years I’ve shown preferential treatment towards anodized aluminum craft wire. 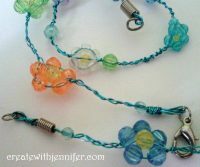 It absolutely fits the bill for a number of craft wire projects, my personal favorite use is for hanging a lightweight painting.. I use a couple of eye hooks in the back of a canvas to do this and probably takes…oh, about five minutes (of course I measure first! ) I’ve also found it great for many simple projects. 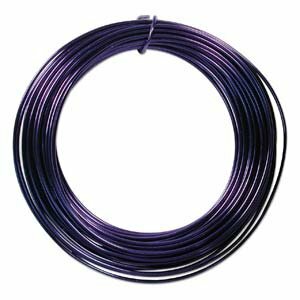 What does it mean that a certain type of wire is “anodized”? You hear a word like that and it might make you think of a type of cookware, and you’d be pretty close. It just means the same process of applying an oxide coating that allows for resistance to cracking, chipping, and general wear and tear. It looks great and comes in vibrant colors; is flexible, bends easily, resistant to rust. Strong enough to support various endeavors, and is also made to not tarnish over time. You cannot easily redo something you’ve made the first time, the wire is bad to kink up and look knotty; it is important to stick to a plan to minimize potential error. The color (usually the pretty ones, not so much gold and silver) has peeled off the surface before as well when I have attempted to re-do something too much. 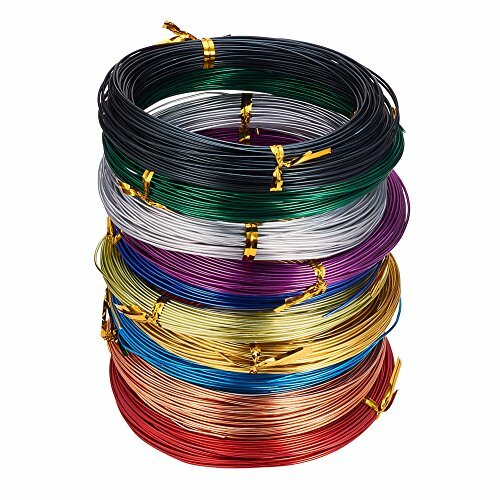 I’ve bought wire at craft stores, however there are times when the color selection is limited. Sometimes I’ll be making a trip and hit paydirt. I’ll see fuchsia pink (my favorite! ), cobalt blue, red…other times I’ll have to contend with plain old silver. Amazon carries lots of color options, the one thing I was puzzled by was the “39 feet” which is a lot of yardage…the ones I get are sold by the full yard which is roughly about 3 feet. The image shown looks pretty much like what I have. Not to split hairs or anything, but I found myself wondering if there was a typo and the description meant to say “39 inches”. Use pliers when you cut; do NOT use scissors (even “good” ones as it causes scissor blades to become dull…I know from experience!) You can use needle nose and the type that have a blunt end. Needle nose pliers have that skinny little tapered end that makes it easy to bend the wire around which is essential for small details. The multitudes of aluminum wire crafts I have spearheaded I go with blunt end pliers, especially for the trimming part.The trimmed ends are a little sharp in which case it is a good idea to use sandpaper to finish them off. You can also use a nail file or emery board for this. Sometimes I use my pliers to make a small loop on the end so my projects won’t have that “unfinished” look to them, particularly with the smaller gauges (20, 22) plus they have sharp ends on them to watch out for. 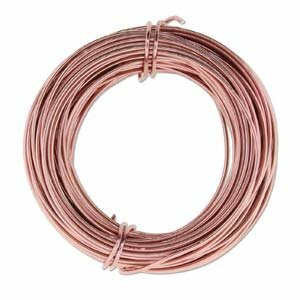 Aluminum wire for crafts is versatile and inexpensive; best thing of all is the 1-yard sizes it’s sold in which removes some of the barriers of experimentation. Barring the few caveats I told you about earlier, I’d strongly encourage you to include it in your own DIY projects as well as everyday use for non-crafty things. As always, have fun!! You too can become a real “live wire” when it comes to arts and crafts! How thick or thin does your wire need to be? Remember: the bigger the number the skinnier the wire. For example a gauge of 18 is thicker than a gauge of 12. Do you mean: “18 is thinner than a guage of 12”? Thanks for your inquiry – Yes that’s pretty much what I meant to say… A typo on my end 🙂 18 gauge is thinner than 12.